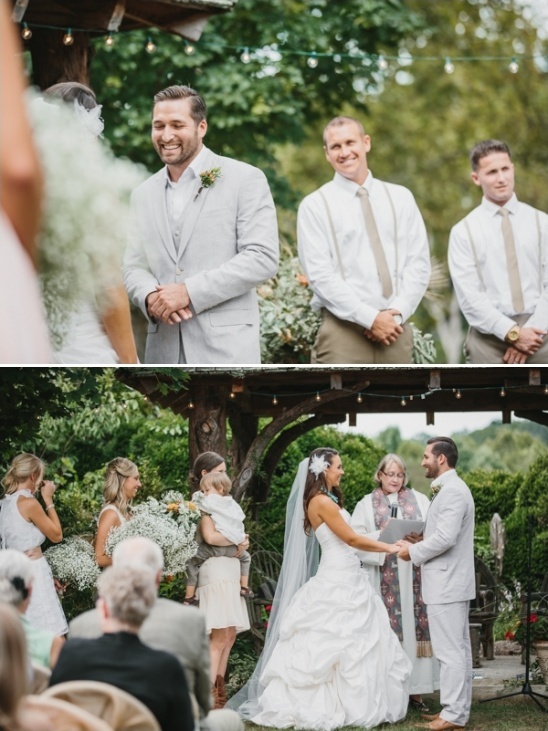 The Cold Saturday Farm provided the perfect setting for Fallon and Joe to exchange their vows. 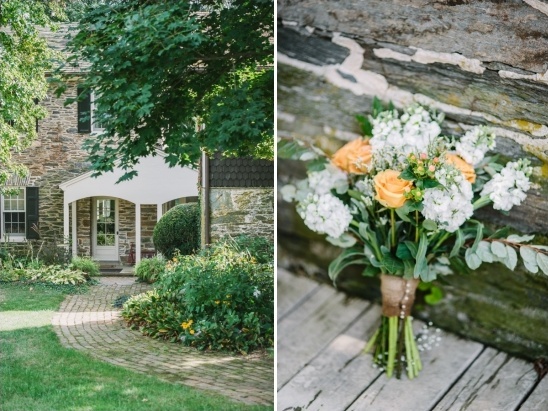 The historic buildings and rustic environment of the farm created a cozy atmosphere where this cute couple and all their guests could relax and celebrate. 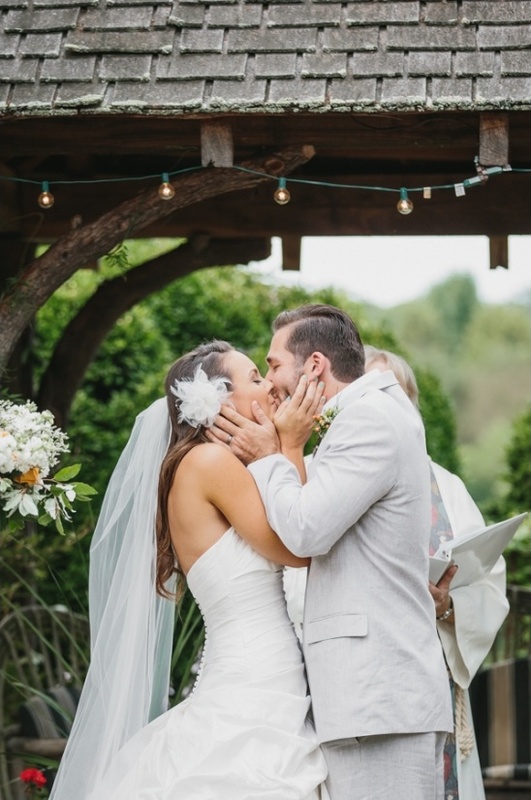 Embracing the natural setting, this wedding was decorated with burlap and lace along with touches of organic wood and florals. 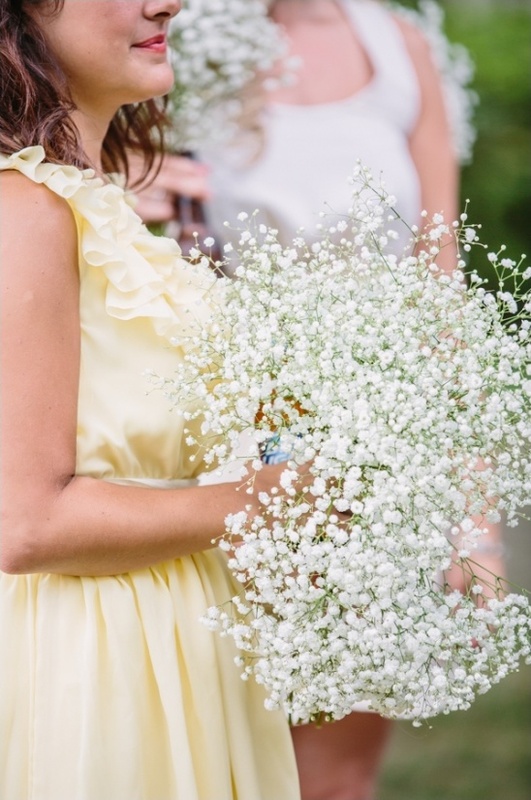 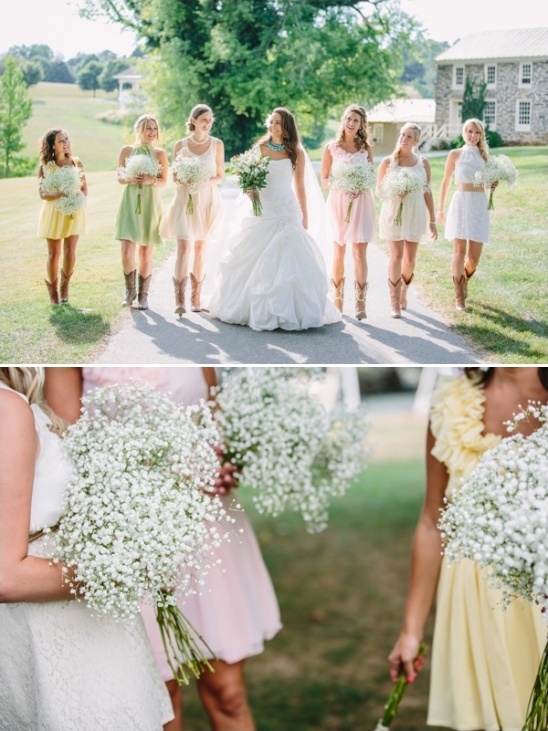 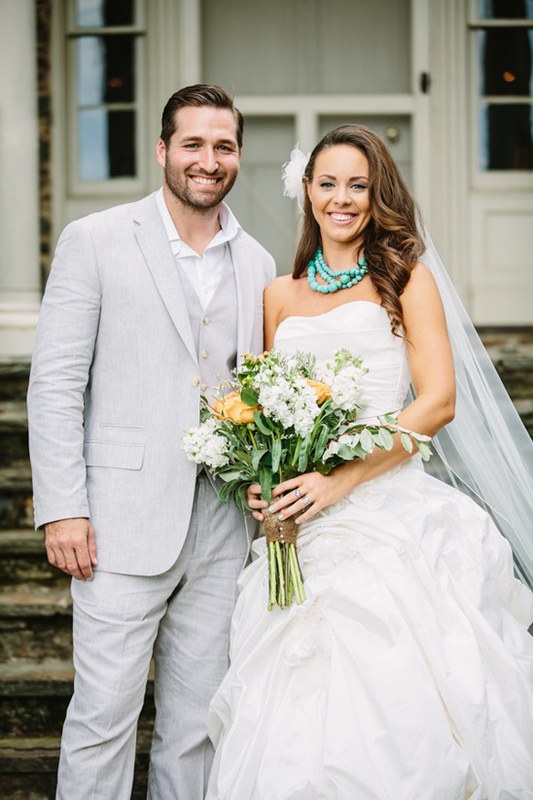 Pastel bridesmaid dresses, peach roses in the bridal bouquet and a stylish turquoise necklace worn by the bride added wonderful pops of color. 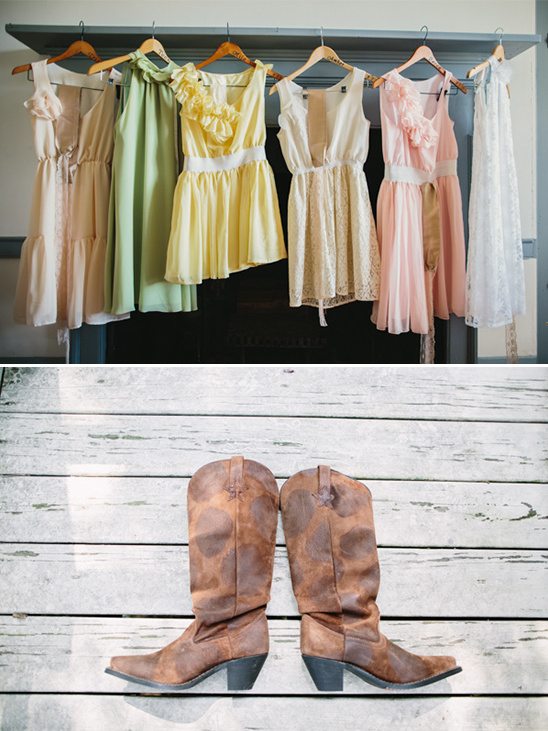 Visit the full gallery here to view so many more photos Brian Virts Photography captured of this cozy country wedding. 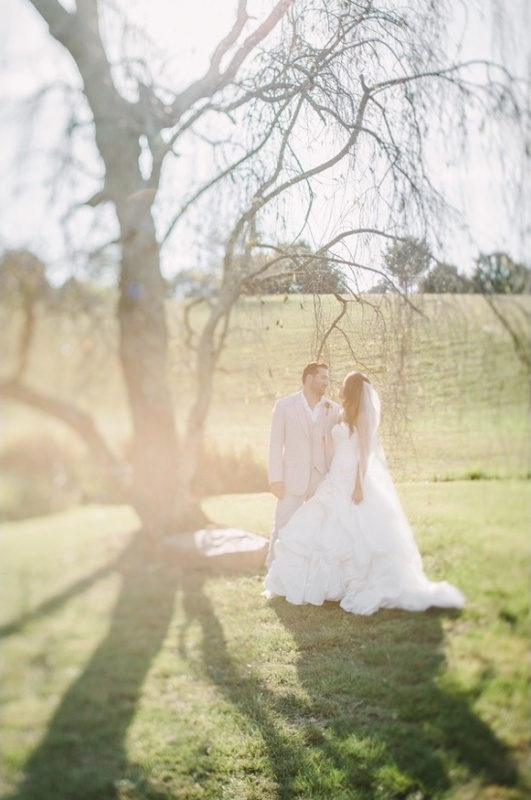 From Brian Virts Photography:There is nothing as calm and beautiful as a country wedding on an historic farm. 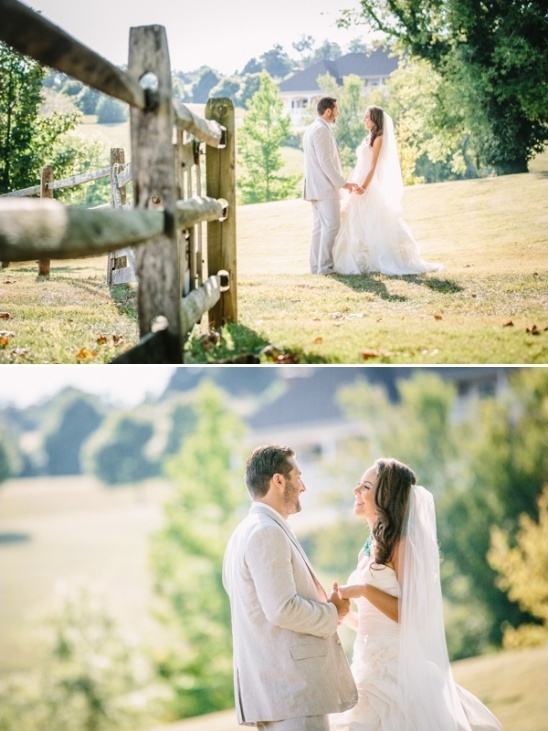 The antique architecture, rolling hills and brick walkways created a breathtaking, natural setting for a unique wedding pictorial. 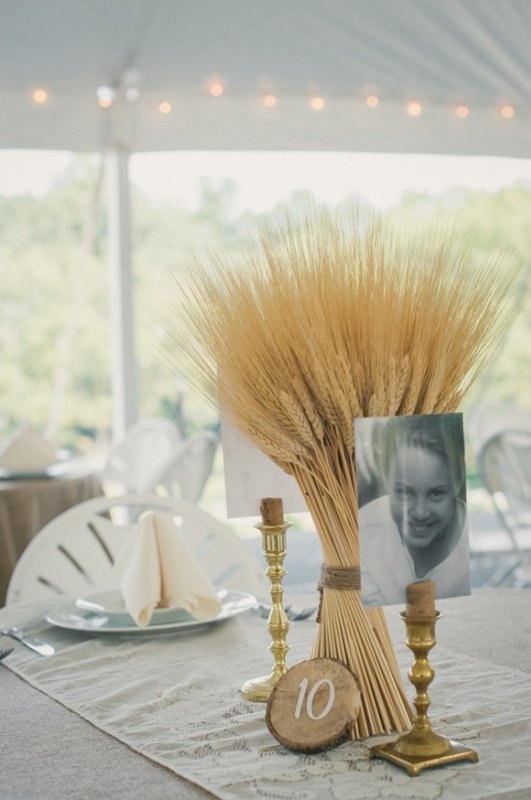 Rather than your typical floral centerpieces, Fallon and Joe decorated the tables at their reception with bundles of wheat tied with twine. 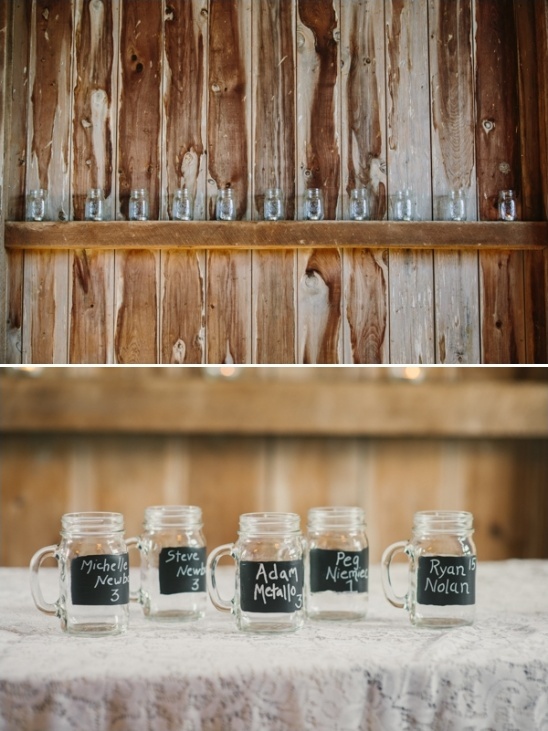 Candlesticks with corks held childhood photos of the bride and groom - such a simple and effective idea! 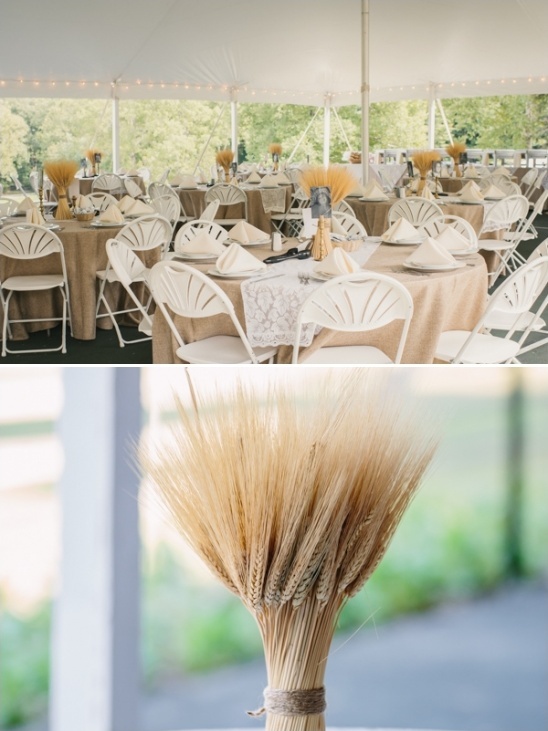 Table number created from crosscuts of natural logs, burlap tablecloths and lace table runners completed the look beautifully.